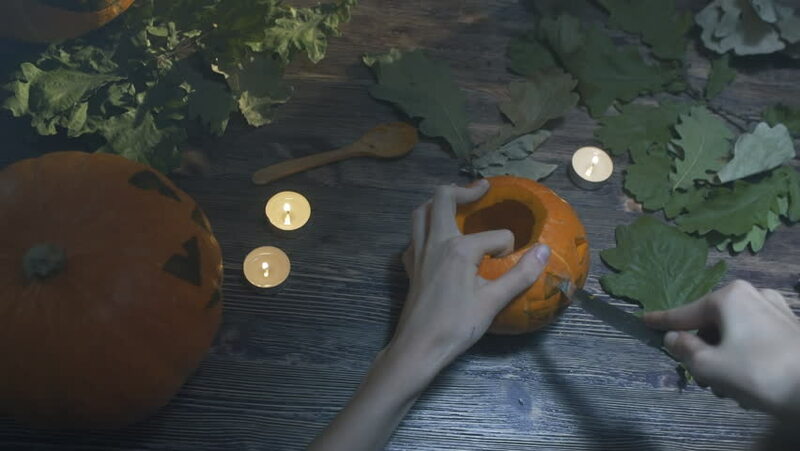 a woman hands cuts out a jack lantern smile with knife on Halloween pumpkin with a wooden spoon. on a wooden table with kandle. halloween concetp. hd00:06Caucasian Toddler Boy Playing In Bathtub With Glow-stick Toy Surrounded By Bubbles.